Locomotives of the sea, cruises are a way to travel in luxury and comfort, to enjoy getting there as much as the destination. Journey through the cerulean waters of the Caribbean, lie on the white sandy beaches of Mexico or relax in a hammock in Nassau after you pamper yourself senselessly aboard a floating city. Whether you are planning a graduation trip, a class getaway, or a vacation for a group of friends, there are magnificent - and affordable - cruise trips just for you. Popular cruise destinations usually lead one straight to the Bahamas, on a tour of the Caribbean islands, or around the coasts of Mexico. We offer all of those cruise trips, but I want to outline some of the best destinations you could possibly choose. The Bahamas are a natural choice, and popular for good reason. When you think of sun and sand you think of somewhere resembling the Bahamas' brilliant turquoise waters, white sands, shady palm trees, and iconic reed-thatched cabanas. Within the Bahamas, Nassau is a logical choice because of its Bahamian spice and British influences, and the fact that it is the capital city of the islands. Blue Lagoon Island, located in Nassau, is one of the top dolphin swim experiences while Cable Beach is perhaps the most popular, and one of the most beautiful, of the Bahamian beaches. Other tour destinations include a trip to the historic Cloisters Nassau, a scenic hike through the Queen's Staircase, or a visit to Ardastra Gardens zoo complex. Museums and historic landmarks, of course, are located throughout the capital city and are perfect for a day touring away from the ship. However, you'll have to draw yourself away from the views that are so perfect you'll think you're in heaven. With ancient Mayan influence, Mexican spirit, naturally beautiful Caribbean landscapes, and undisturbed jungles, Cozumel is a rustic island paradise. Adventure and relaxation go hand in hand in Cozumel where you can find some of the best snorkeling in the world, gorgeously bright coral reefs, ruins for touring, jungle parks for hiking, dolphins to befriend, and boutiques to shop. The island has perfected the art of subtle tourism with just enough flash to get you there and the right amount of attractions and amenities to keep you smiling. Cultural experiences like trying out an authentic Mayan sweat lodge and uninhabited beaches are particularly alluring though the entire island is a magnet for anyone with a love for tropical scenes and perpetually warm climates. The conglomeration of islands that make up the Caribbean is too many to visit on one trip. 7,000 individual islands are said to belong to this collection, though only 13 are independent countries. Most cruise lines break this mass into two itineraries covering the east and west quadrants. East: Since the eastern Caribbean islands are closest to the U.S. this is a popular choice and one that covers a lot of ground, or water. 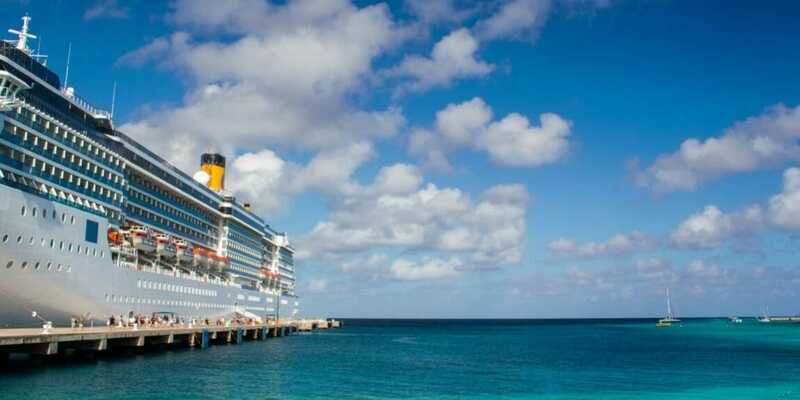 Usually, eastern Caribbean cruises lead you through the U.S. Virgin Islands, Puerto Rico, St. Maarten, St. Croix, Nassau, the Dominican Republic, and St. Thomas among others. The exotic mix of cultural influences on these islands make it a fun and inviting vacation for everyone with, of course, perfect beaches at every stop. West: The western islands hold amazing weight as they are some of the most popular destinations in the world. Ports of call include Belize, Costa Rica, Nassau, Grand Cayman, Jamaica, Cozumel, the Yucatan, and Ocho Rios on the Mexican coast among others. There is little more I could say to convince you of these islands' qualities but they all come with snorkeling, shopping, sandy beaches, and palm trees. On the western coast of Mexico lies the Baja oasis of Ensenada. While you're there, look into the Baja Bandidos Horseback Trail that leads you around Salsipueded Bay, Todos Santos Islands, and the Gold Coast. La Bufadora is one of the largest marine geysers in the world and lies less than a half hour from the city proper on the peninsula of Punta Banda. Stand on the cliff side and let yourself be splashed by the natural wonder, spot a gray whale on a tour boat, tour Mexican wine country, and experience the magic worked in Baja restaurants all over the city. There are hundreds of ports all over Central America and the Southern United States that I don't have the time or room to mention here from Florida to Panama to some of the hidden islands of the Caribbean. But really, you can't go wrong when choosing a destination if what you're wanting is surf, sand, and sun. Cruises make some of the best student trips for their all-inclusiveness, an abundance of luxurious amenities, and broad schedules. Take a cruise for your next group vacation and you will be so enraptured by the views, all thoughts of school and reality will leave your mind. At least for a few days.